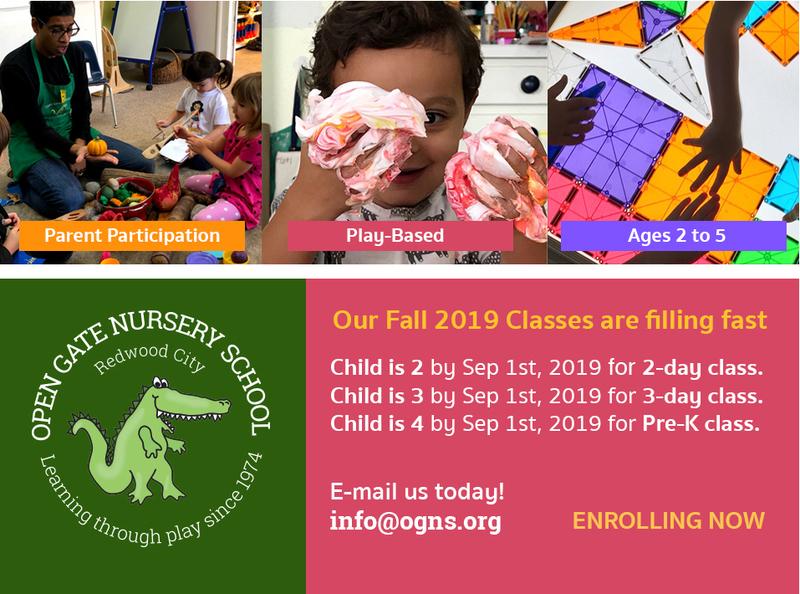 Open Gate Nursery School – "Fun and friends, I just can't wait!" Welcome to Open Gate Nursery School! For 44 years, Redwood City children and their parents have found fun, learning, and community behind our gate. 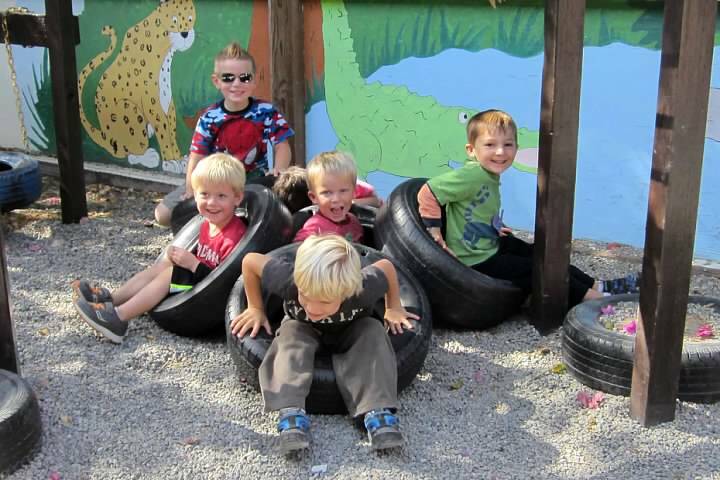 Open Gate Nursery School is a parent-participation, play-based preschool with classes for children 2-5. In Open Gate’s nurturing environment, children develop socially, intellectually, and physically, in an atmosphere of warmth and trust. Play, stimulating new experiences, adult-child interaction, and time with friends combine to support children’s development. We guide children in cooperation, respect, and non-exclusionary play. Parents learn and grow, too. We hone our positive parenting skills through observation, classroom participation, and parent education classes. Grown up Open Gators have a strong sense of community — we love our school! We are allergy sensitive, and have a nursery on site for younger siblings. Open Gate is a warm and wonderful place for your family to learn, share and grow together. Won’t you join us? We are a proud member of the California Council of Parent Participation Nursery Schools (CCoPPNC). Our parent education classes are associated with the Sequoia District Adult School. Sign up for e-Scrip and earn money for our school. The link above goes directly to the e-Scrip on-line Mall with all purchases automatically credited to Open Gate. Open Gate Nursery School ID# 137330565. Donate via Paypal! Donate to our school through PayPal.